Rubber tips of walking poles are not suited for rollskis. Pole ends can be regrinded by means of a diamond wheel. Rolec takes care of the regrinding free of charge! 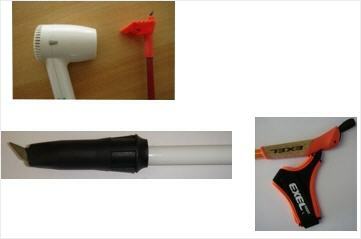 Use hairdryer to warm plate remove Rollski pole by rotating. Attach roller tip, warming and press in firmly. Rollski poles have the same length as cross-country poles. 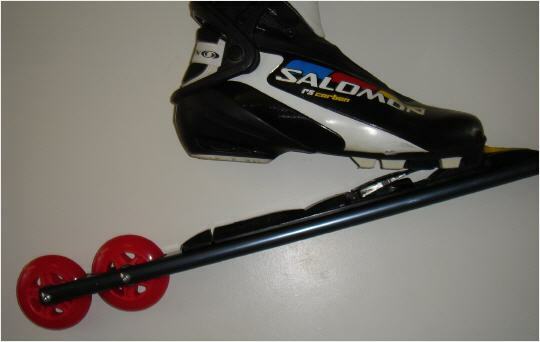 The height difference between cross-country poles and rollski poles is compensated by the longer rollski pole tip. 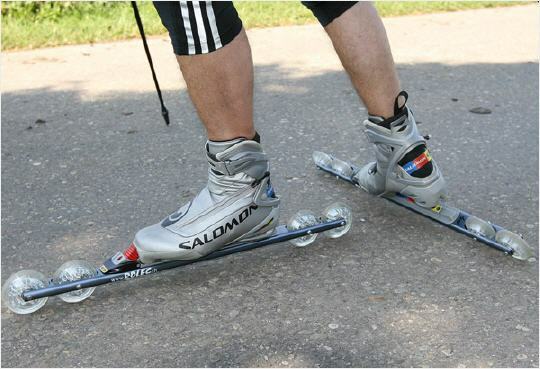 Because of the low restoring force of the spring, this binding is not appropriate for rollskis. Is it possible to adjust the brake of the wheels or even to switch it off on the mountain? It is not a brake, but a rolling resistance. It is pressed into the wheel and brakes permanently on the axis.